First opened in 1871, Eastern Market is still a thriving gathering place for the residents of Capitol Hill in the District of Columbia. Market stalls offer fresh fruit, baked goods, and artwork hand crafted by some of the best artisans in DC. Inside the market, some of the freshest meats and fish available in the metro area. At one end of the market, the North Hall boasts 4000 square feet of event space. Vaulted ceilings and large arched windows give a spacious feel to the already generous layout of the hall. Another 3500 square feet of outdoor space is just beyond the hall. Perfect for a wedding ceremony before an indoor reception. Be sure to visit the market stalls on market day to add one of a kind touches by DC artists to your wedding day celebration. The market is surrounded by a thriving historic neighborhood with murals by local artists, brick sidewalks, and tree lined streets. The brick facade of the market overlooks the community and is a gathering place for friends and neighbors. Coffee shops, restaurants, and community centers are nearby for all to enjoy. 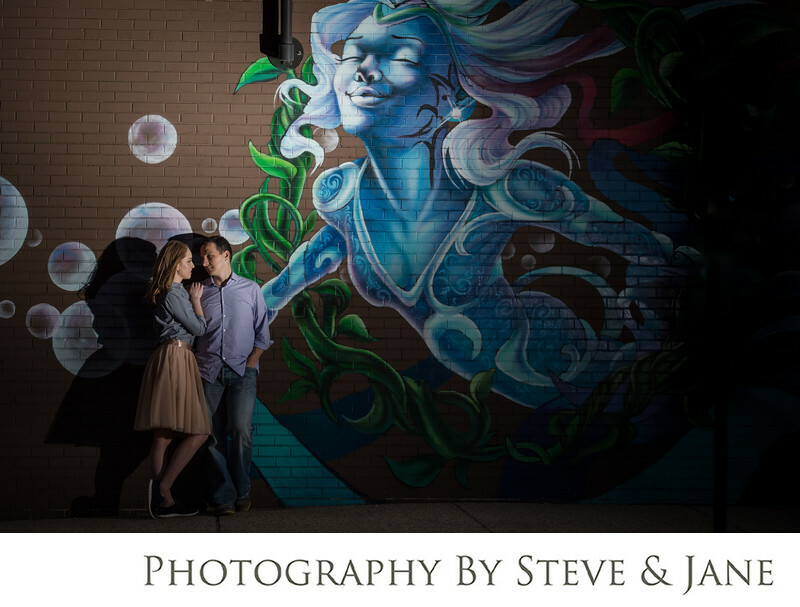 Whether you are looking for a location for an engagement or portrait session, or a venue for your wedding day, Eastern Market ought to be on your list. The warm feeling of celebrating in a space that means so much to one of Washington DC's favorite neighborhood will start your life together in a way that can't be found anywhere else in the city. Location: 225 7th St SE, Washington, DC 20003.